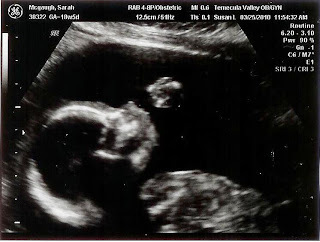 Bubbles and Blossoms: The McGaugh Family Blog: It's a BOY!!!!! Katie is going to have a LITTLE BROTHER! We are so, so, so excited, and I cannot wait to experience the best of both worlds with my two children. 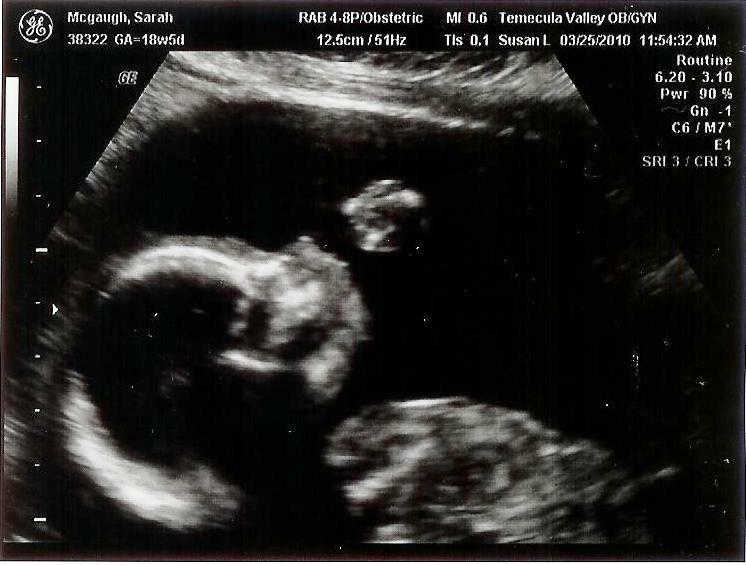 Little Eric William is growing well, and all of his organs look great! I am so excited at the thought of holding and loving and meeting our son in August. I love that Katie will be a big sister, just like I am, to a little brother. Kate and Eric. Eric and Katie. The bond between them will be forever. My two children. We are naming our son "Eric" after a beloved uncle of mine that died too soon, one who embodied a youthful and childlike spirit and who filled my childhood with magic and his larger-than-life persona. "William" of course honors my husband, the true love of my heart and mind. The surname of "McGaugh" will also now live on, as Bill will be the first (and very likely the only) of his four brothers to have a boy. We love you, little Eric William... We hope you are having a peaceful and comfortable time in there! Can't wait to meet you in person! Now it is time to start planning his room and gathering some baby boy clothing and blankies! Let the nesting commence!